Ah! What an awesome title sequence! The Powerpuff Girls were my heroes, cute and tough at the same time. I wish every project of ours was this awesome. You know what? One did come very close – HR Cube. Our experience with this hiring portal based out of USA, was similar to the title song of The Powerpuff Girls. Suddan and Pritha from HR Cube managed a satellite base, here at Coimbatore. At the onset, they asked for a marketing video that would target 3 heterogeneous groups of people (do you know how strenuous it is to capture ONE type of audience? Now multiply that by 3) They requested us to use only the 3 colors from their logo. Aaand finally, our deadline was just 3 weeks away. A challenge from the start. We loved it! What…? Oh, you’re wondering what Chemical X was? Patience. I’m getting to it. We had the brief from the client and we had the vigor for a new project. Now we needed a style. Udhaya, took up the role of the Creative Director. Prof.U’s (yeah, Udhaya became our ‘Professor’) instincts pointed to Motion graphics. He wanted to create something utterly new. Confused much? I assure you, that’s how we felt too. A little unsure but a lot daring. Eeeks! Scary, I know. But we consoled ourselves that scientists also felt the same way most of the time. It was like the perfect opportunity for us to don white coats and turn into researchers. Shareef was incredibly supportive for this ‘trial run’. He had to manage our resources, making sure that everyone was on the same page. That goes for the client too. I mean, how else could we convince HR Cube to trust us with something this vague? Shareef made it easier for us to concentrate on our production, while he handled any questions HR Cube posted. By this point, we had it in our heads that we were scientists. So, it was upto Shareef to change the MPV studio into the perfect lab. Initially, it was all abstract. But Vimida, picked up fast. She even took it further and scripted an emotive story. Motion graphics are a way to talk about the bigger things in life; social, corporate and economic issues. In this case, it was about what Enterprises thrive on – their people. 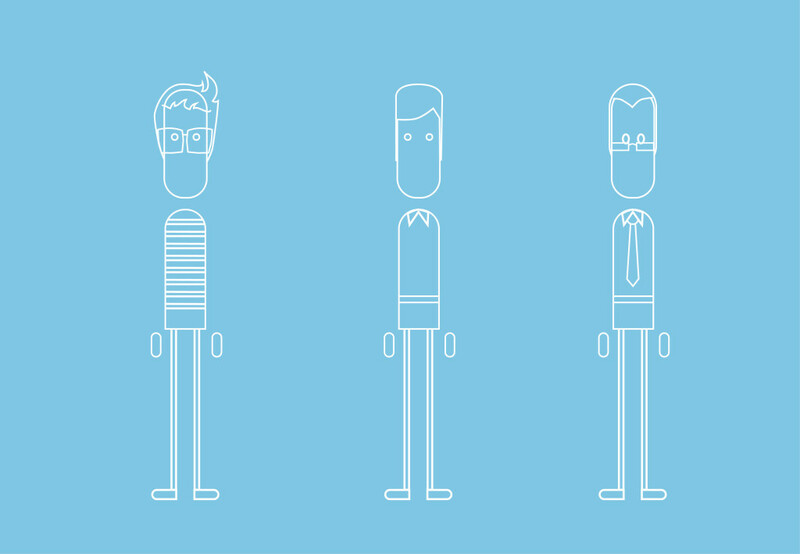 It’s no surprise that Enterprises are built from their employees. Vimida wanted this to be the core of the script. So, she chose to narrate the story of two people – Mark and Eddy – enveloped in the story of Enterprises. Writing scripts for a motion graphics video, was already a Herculean task. Now imagine writing one with a storyline – it was Super Tough. She handled it brilliantly. Even though this was only a branding video on the surface,(and branding videos are generally boringggg bullet points), she took up the dare to use the underlying story of enterprises.The script didn’t stop with Mark and Eddy; it went further and tied their stories with that of Enterprises, making it a grand Story of Success in the end. We knew that this slightly intense project needed more than your regular animation treatment. So likeProf.U ( the real Prof.U this time ) we began experimenting, tweaking our traditional ‘animation process’ in the affair. Udhaya…sorry Professor U…decided that character design would come later. First, he wanted to set the tone and style of the video. So, he designed the first few seconds of the video. Only after seeing that shot our confidence level rose. The cloudy abstractness became clearer now. It was an odd combination. What were you expecting? Blossom, Bubbles and Buttercup?! Nanda, our artist, was bubbling with excitement (bubbling…Bubbles…teehee ) He was soooo into the idea of a story-based motion graphics that he volunteered himself in. Now, Nanda usually is a high-spirited and vibrant artist. This time, he was even more so! Everyday, he would pitch in his ideas for each style frame of the video, and everyday the trio moved a little closer to a rough storyboard. Let me tell you a little something about Motion graphics – it is like a cheetah-set-on-fire-and-running-at-supersonic-speeds. Blink. And you miss it. You would see lots of movements and transitions and things whizzing past you. So, Nanda had to create characters (human characters!!) that could keep up with the pace of these movements. Man, he NAILED IT !! He came up with characters that were made from only strokes and negative spaces. That was some Ah-maze-ing stuff, Nanda *applause, applause*. You took character design to another level. Ahh..delightful Bubbles! So who comes after Bubbles? Buttercup, right? Well, our Designer, Antony showed us how much of a Badass he was when he gave the characters some sass. Antony was also the one who came up with the idea of using a metaphor for the candidate selection process, which is the crux of HR cube’s brand. How did you come up with such an abstract concept, dude? Using arrows to represent candidates!! Now there’s something we have never heard or seen before! So while the characters were blowing our minds, there came the next powerpuff superhero. Blossom. The sensible, ‘self-proclaimed’ commander and leader… Sara extended this “Strokes Theme” to the animation. If you think about it, it does make a lot of sense to adopt the style of characters for animation. Logically, aesthetically and obviously – as were the characters, so was the animation. Sara did a couple of whishy-whooshy animagic for the motion graphics – so that all the elements felt like they were whishing-in and whooshing-out from the viewer’s point of view. Here, let me give you an example – in one scene, the stroke for ‘TRUST’ comes from outside the frame – this was to subliminally show that the viewer is extending his own trust. Whoaah, that was some deep thought, Blosssss…err..Sara. Kudos! I feel that the music deserves special mention. The energetic and peppy music added life to every second of the video. Arielle, the Voice over artist, gave a pleasant and sophisticated narration that blended in perfectly with the tone of the video. I could keep talking about the little animation technicalities that made this video interesting – the teeny-tiny sparks, the action-packed centre of the frame, the subtly gradient background, the fixed camera, the motion-centric storytelling et cetera, et cetera but I won’t elaborate. I’ll let you experience it. Note: You will have to be ultra-observant if you want to grasp them. This project really proved worthwhile of all the man-hours and brain juices we put it. The support and enthusiasm from our clients during the production was immense. Actually, we had our doubts when we gave Suddan and Pritha a short demo. But their positive feedback encouraged us till the end. Scientists (that’s us!) are usually not spokespersons. Our Project manager, Shareef, was again, the man of the hour. He conveyed our thoughts and ideas to HR Cube, who graciously accepted the changes, and gave us enough freedom to explore this path. Also, Shareef’s best dreams came true – HR Cube agreed to extend the deadline (sleep easy, Shareef). The little extra time worked to our advantage. Naturally, we are elated about our project with HR Cube as it was one of our creative best in recent times. Thankfully (read, shockingly!!) we didn’t burn any hands or scorch any hair during the process. So yeah, we will always remember this project as that which pushed our limits. 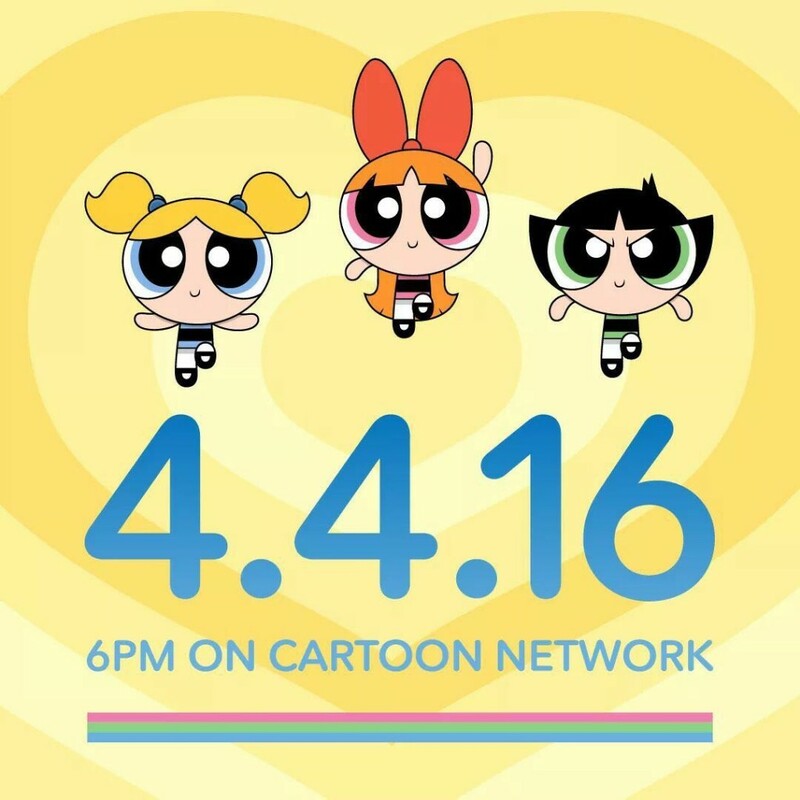 Fun fact: Looks like Powerpuff Girls is making a re-entry – to make our lives awesome again!